We're thrilled to announce yet another event to celebrate our 10th anniversary, this time showcasing some of the most exciting new bands we're working with at the moment. 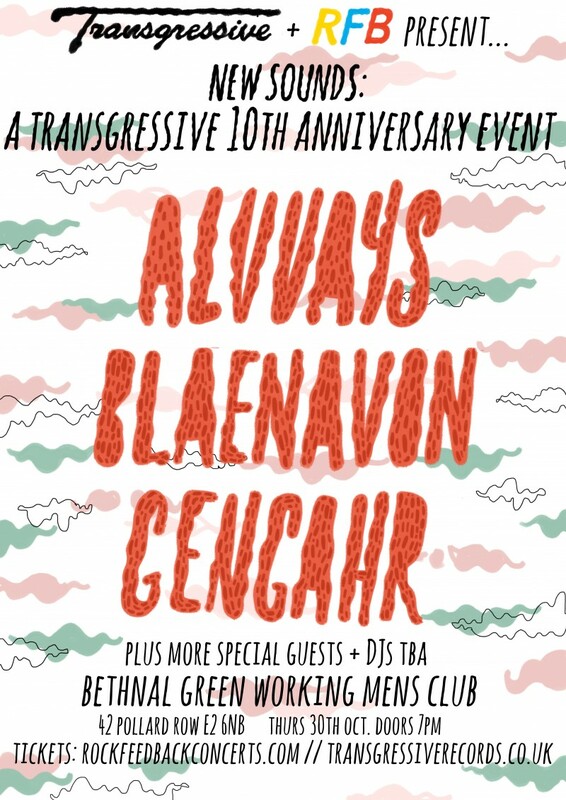 So far announced for the event are Alvvays, Blaenavon and Gengahr, which occurs at London’s Bethnal Green Working Men’s Club on Thursday October 30th. More special guest bands and DJs will be announced in the build-up to the show.